Good news: packing for vacation just got easier. When selecting swimwear for your summer getaway, keep your destination in mind. Some locations evoke vibrant colors and bold prints, while others call for a relaxed, subtle aesthetic. We've broken down some of our favorite destinations—and the bathing suits to match. 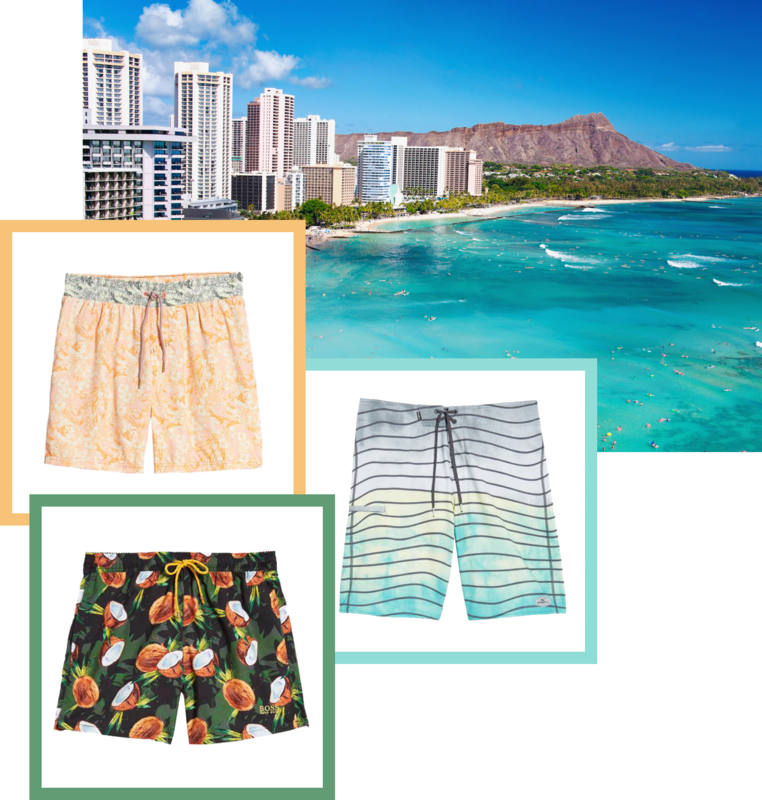 Whether or not you're packing a surfboard this summer, an on-point island look can be achieved with bold stripes and fun, Hawaii-inspired motifs. Capture your carefree tropical style sense with expertly mixed prints in pop colors. 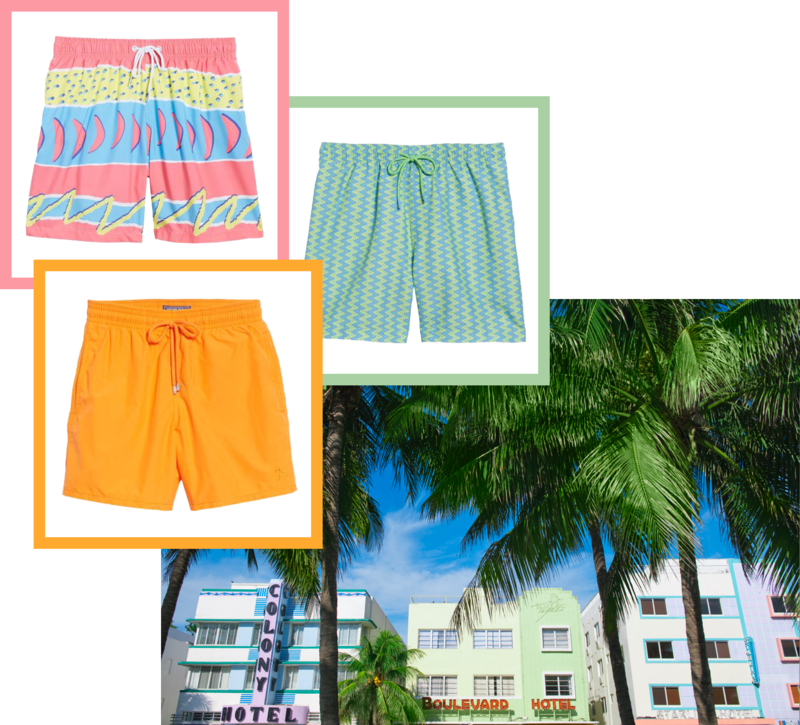 It’s all about fun on the white sands of South Beach… and that includes your swimwear. Pass on subtle and go for a bold statement. We’re digging ‘90s-inspired prints with graphic appeal, saturated color schemes, and punchy statements in neon hues. 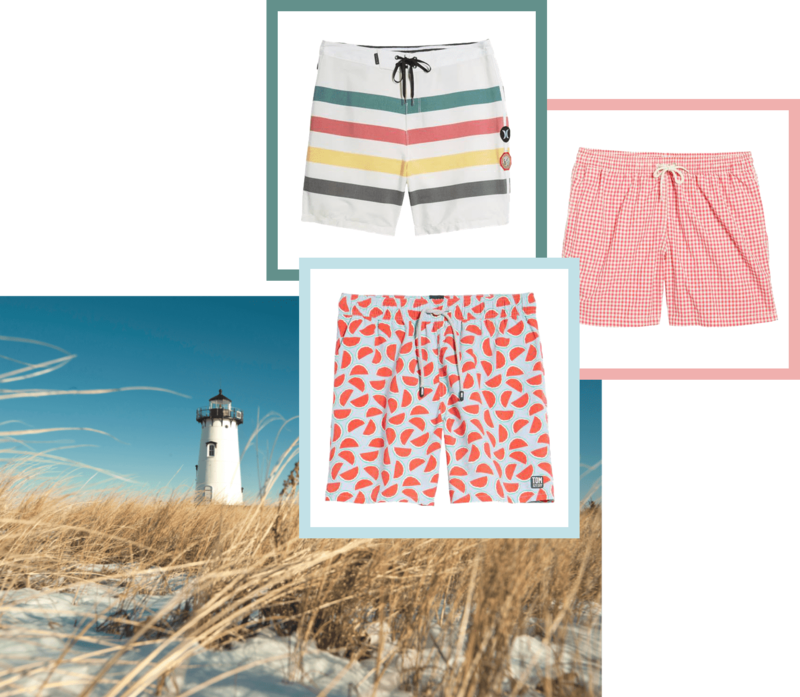 Pack preppy if you're headed for New England, the epicenter of Americana. East Coast vacation style is all about gingham, stripes, and a classic color scheme. When in doubt, ask yourself: are these swim trunks made for lounging on the boat all afternoon? Aiming for a retro California vibe? West Coast cool translates to fresh surfer stripes in a distinctly resort-ready color palette (and pink flamingos, too). 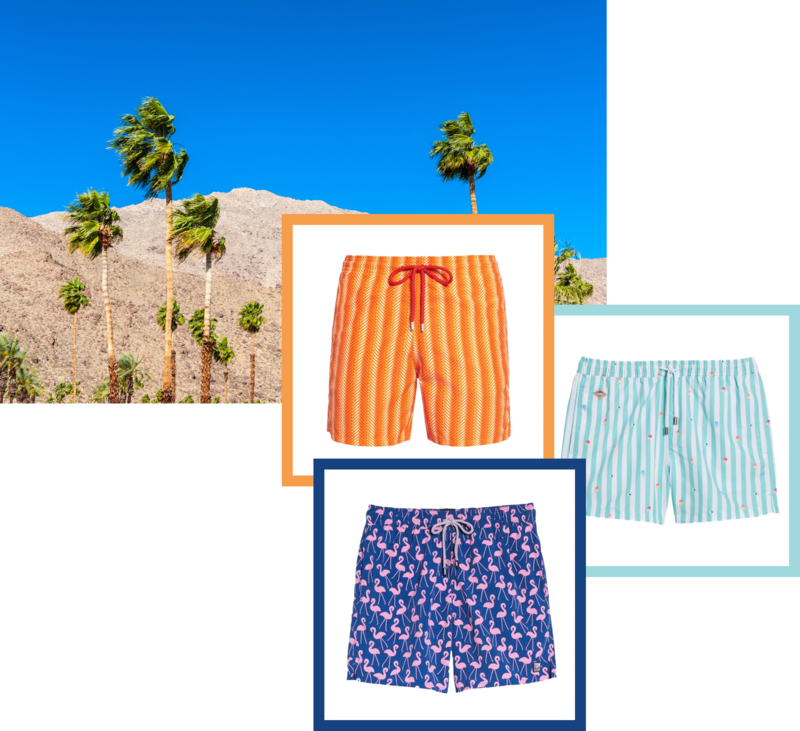 Add some whimsical prints to the mix and you'll be primed for the Instagram-ready style of Palm Springs.